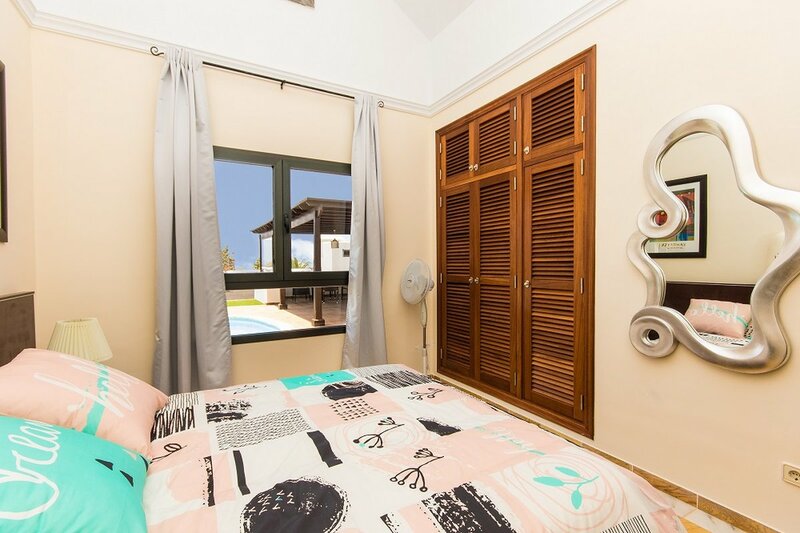 3 BEDROOMS (sleeps 6):Fabulous master bedroom with a double bed, leads out to the garden and pool.2 bedrooms, one twins and the other double, all of them with fitted wardrobes. 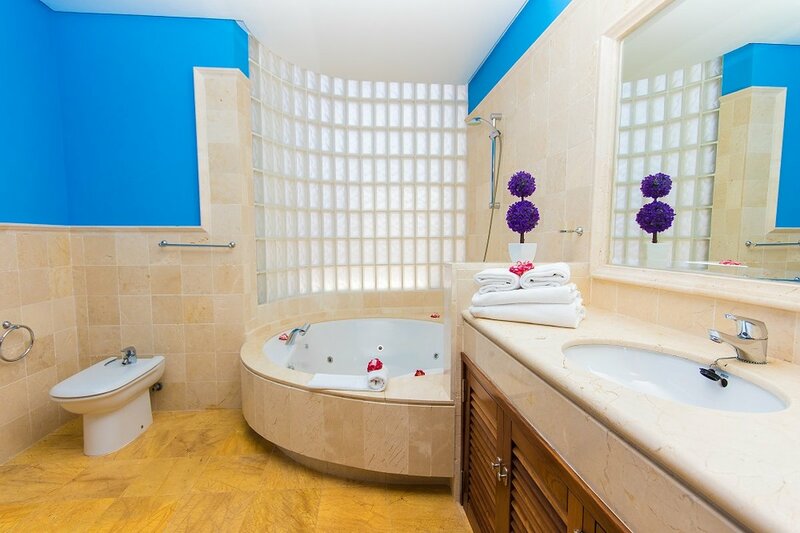 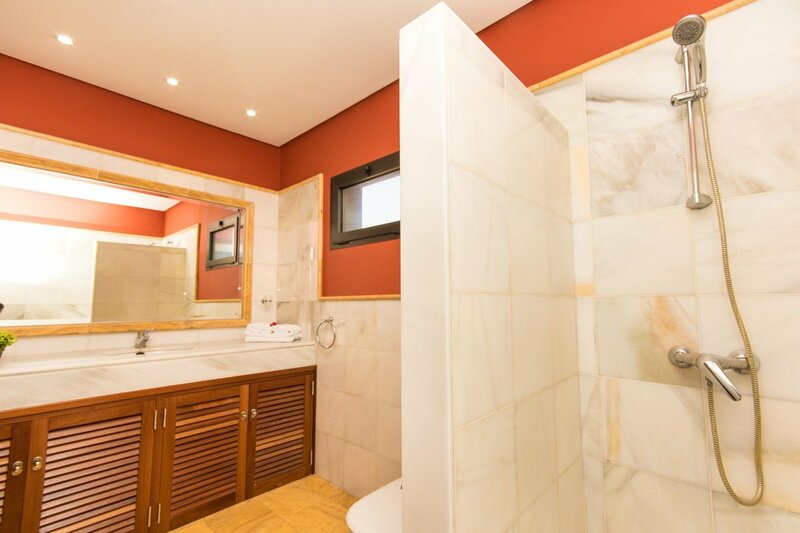 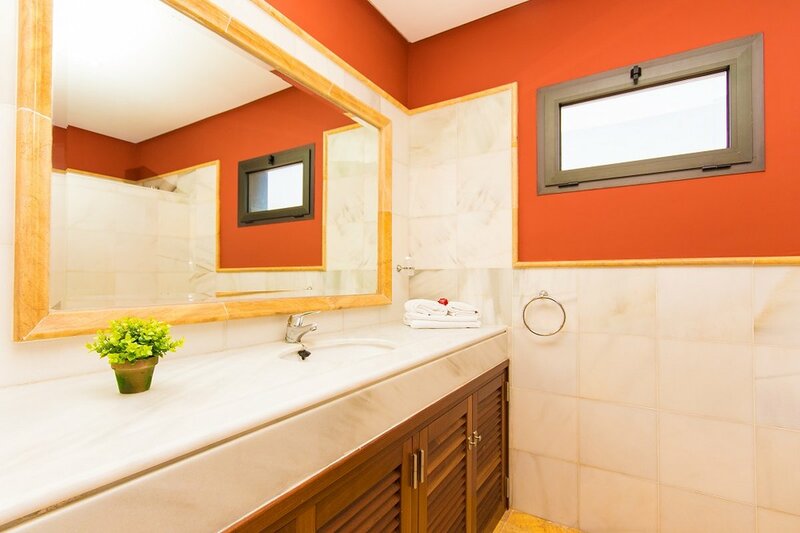 3 BATHROOMS: luxury bathrooms, the en-suite one has a large jacuzzi bath, a sink, WC and the family one, comprising a large walk-in shower, a sink, WC, the third has a sink, WC and all of them are fitted with marble throughout. 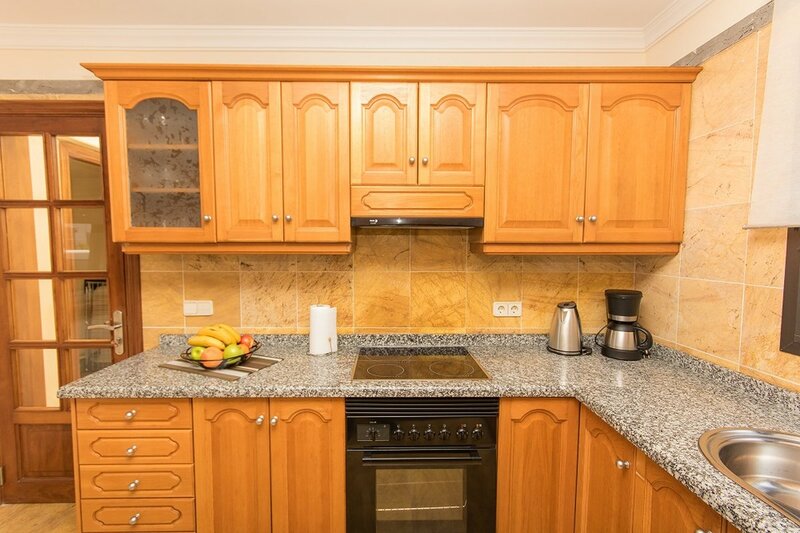 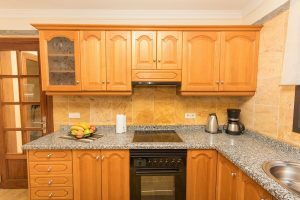 KITCHEN: fitted with fridge/freezer, oven/hob, dishwasher, kettle, toaster, microwave, granite worktops, crockery, cutlery, plates, pans and pots. 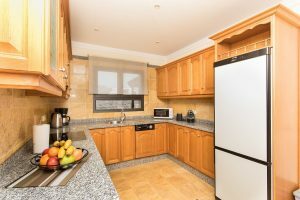 UTILITY ROOM: Ironing board, iron, clothes line and washing machine. 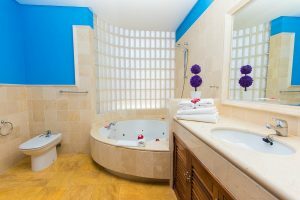 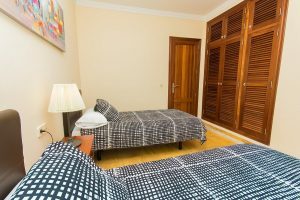 TOWELS/LINEN: Bed linen, bath and pool towels are provided. OTHER: WIFI is provided for free. 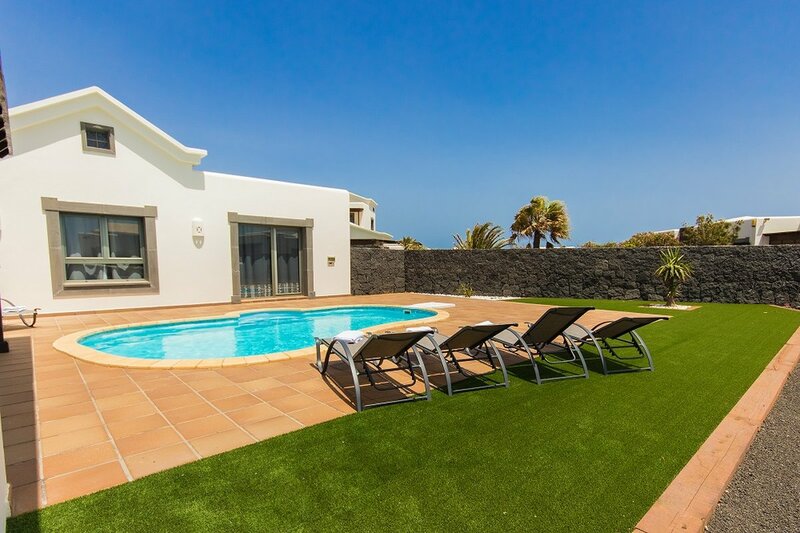 There is a private parking plot in front of the villa. 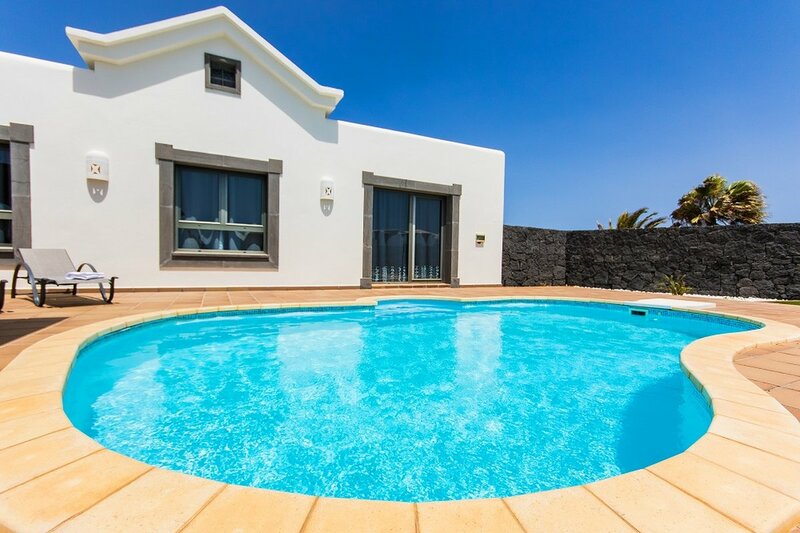 OUTSIDE: The beautiful garden is surrounded by a volcanic rock wall for privacy with terrace and a lovely garden area around the pool. 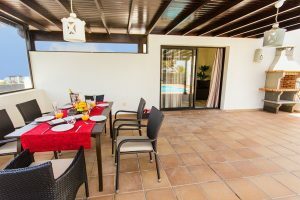 For your maximum comfort there is some nice terrace furniture, a table, chairs, sun loungers and a built in BBQ to enjoy outside meals. 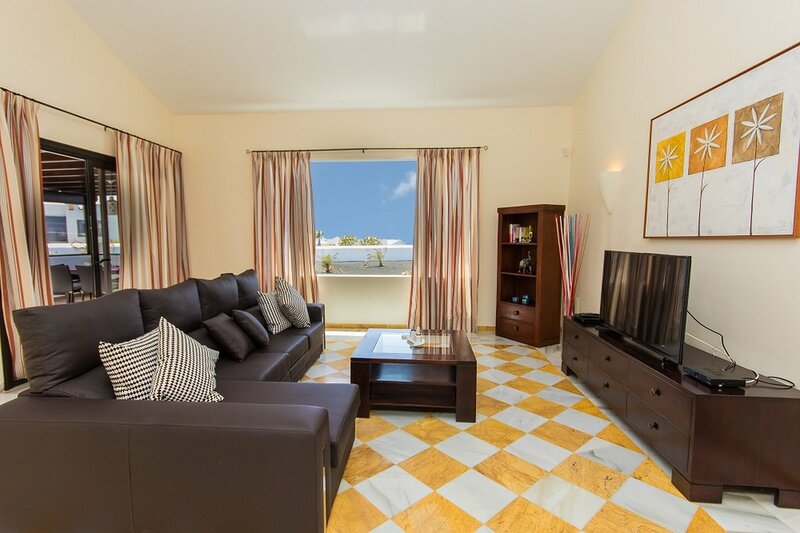 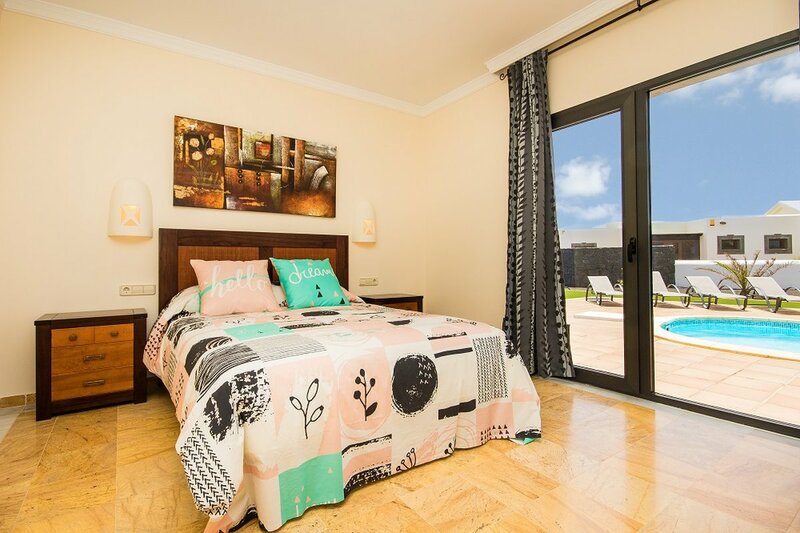 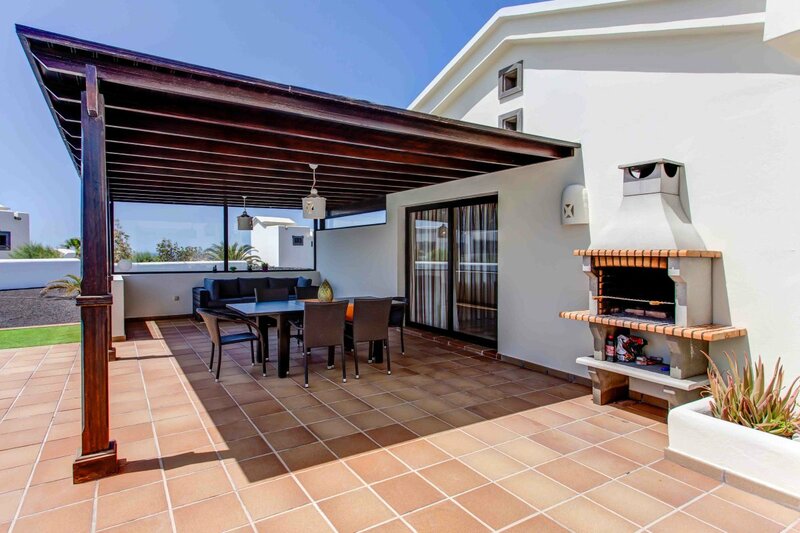 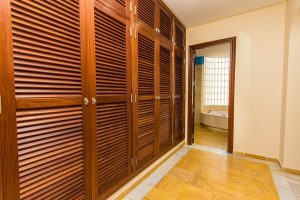 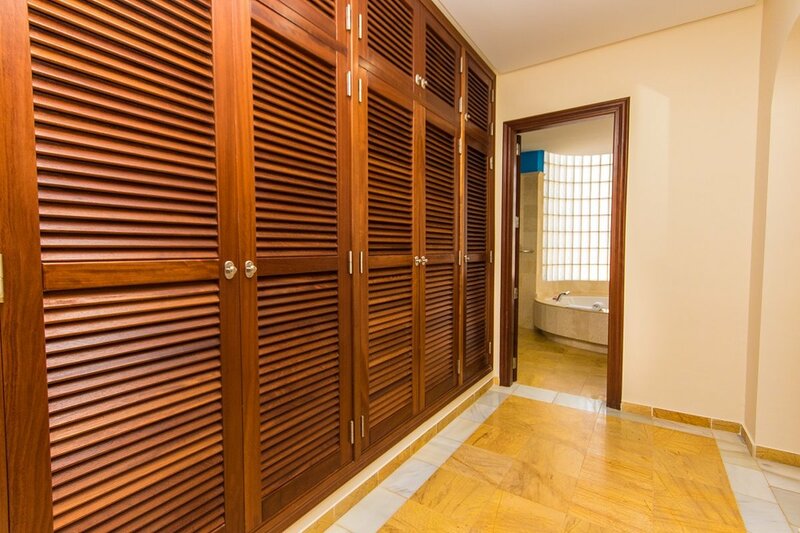 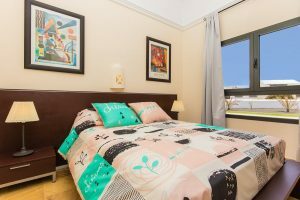 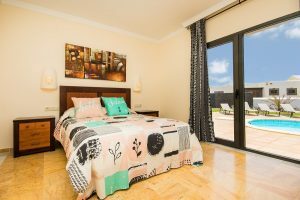 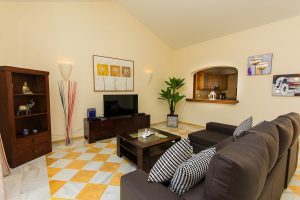 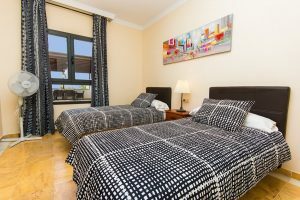 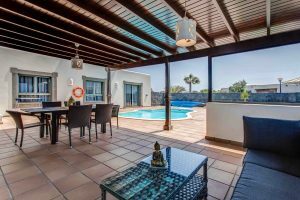 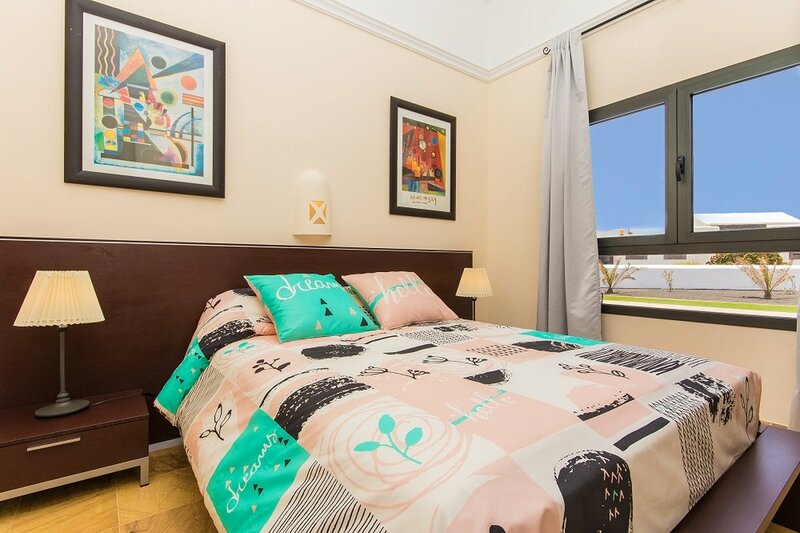 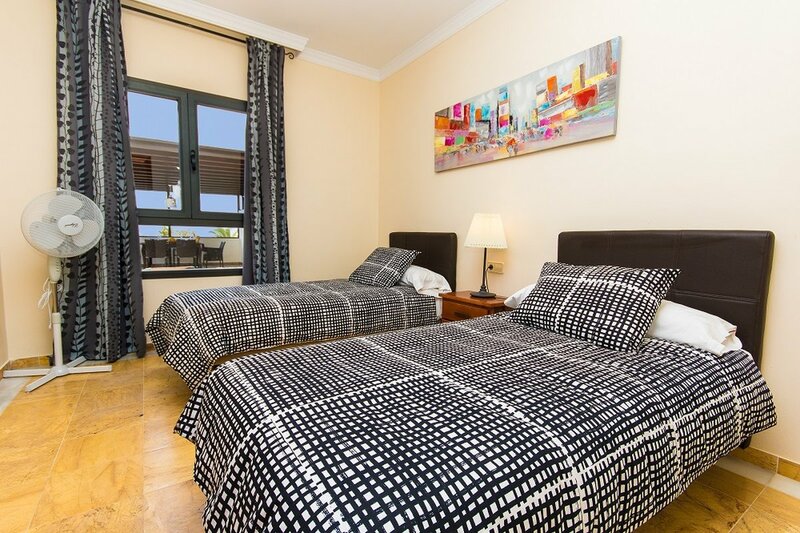 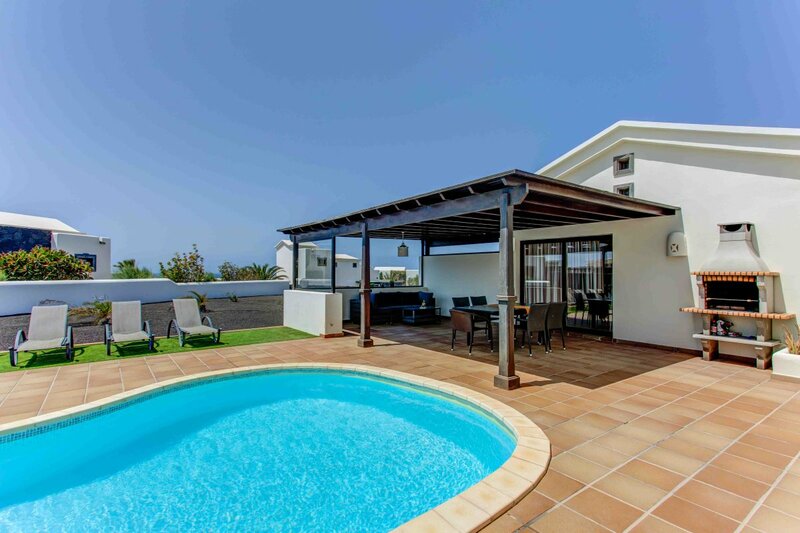 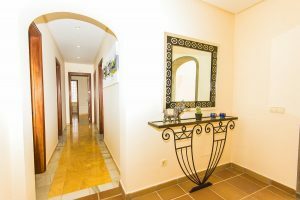 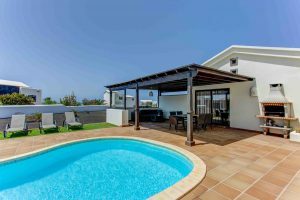 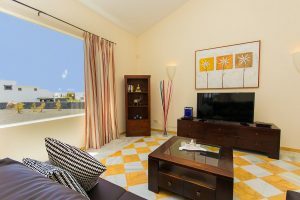 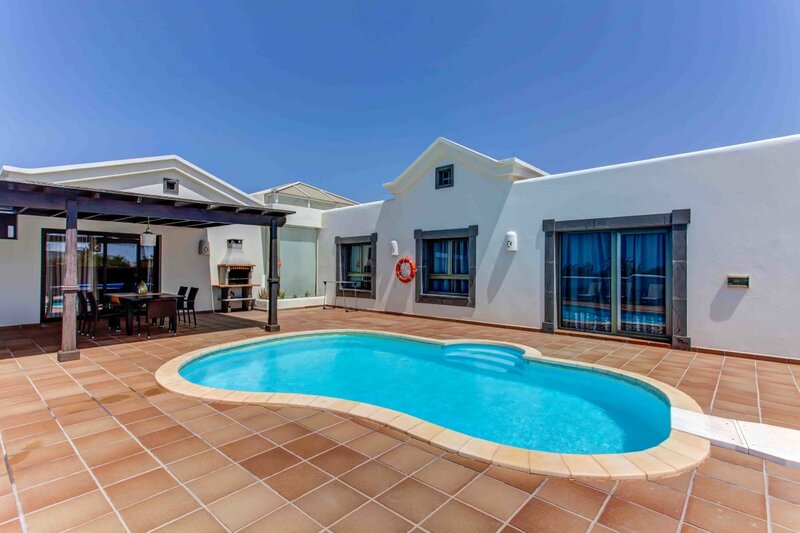 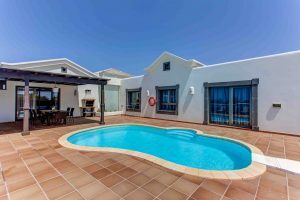 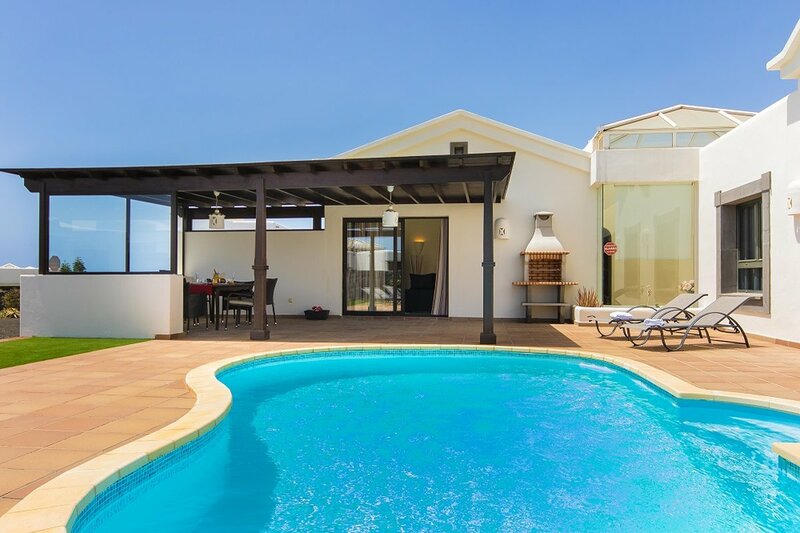 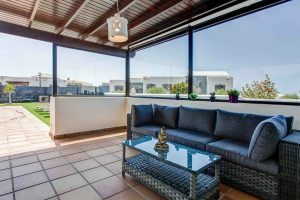 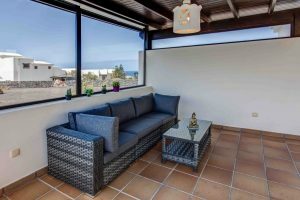 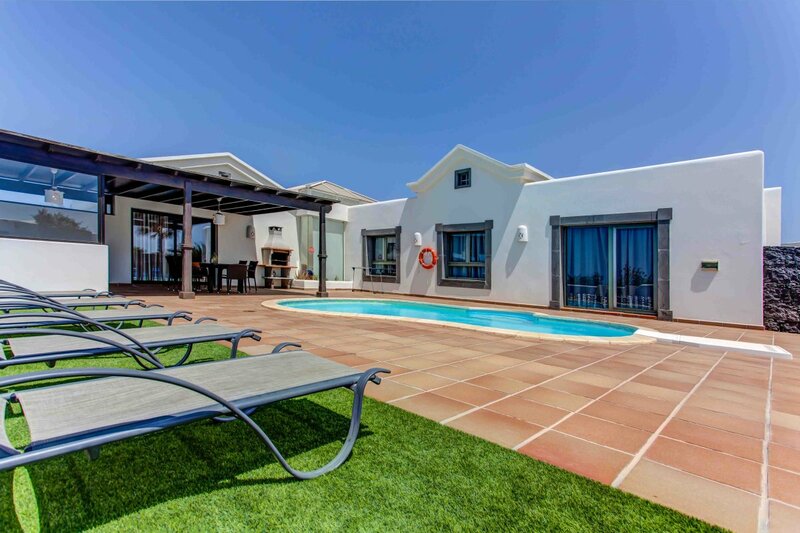 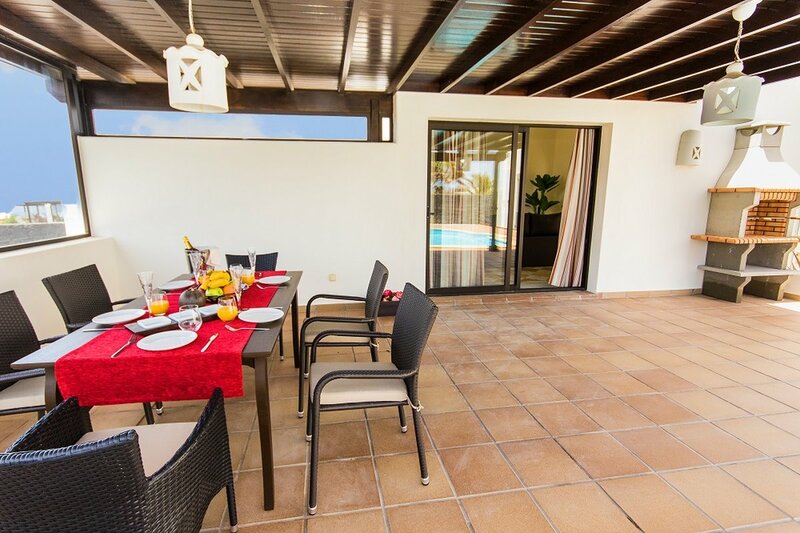 The villa is located in a development called Faro Park, at few minute walking from the coast/promenade, there are various beaches in Playa Blanca, Playa Dorada, Playa Flamingo(the nearest one 5 min by car), a little one in the centre of Playa Blanca and the famous Papagayo beaches. 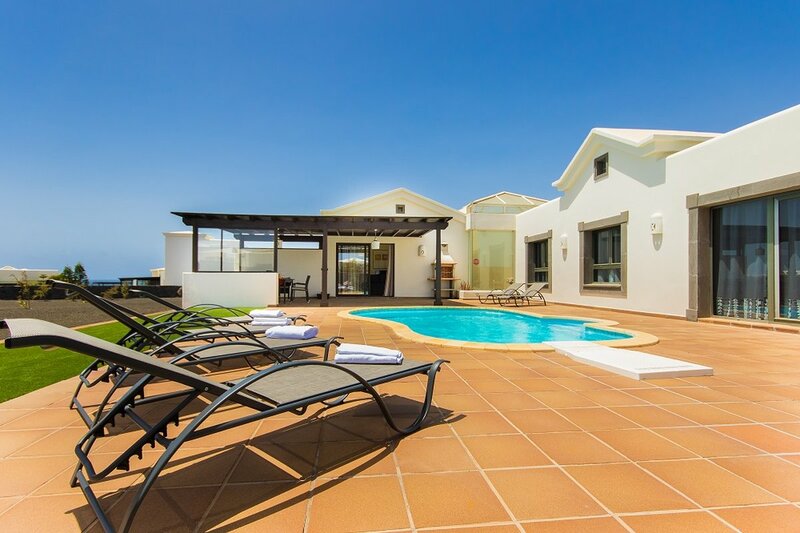 Car hire is recommended especially for those who would like to visit the island. 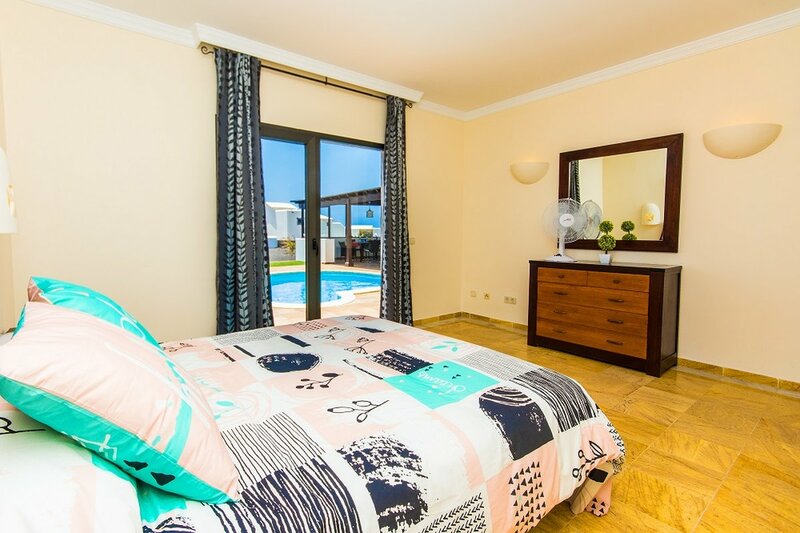 A taxi from the centre of Playa Blanca to the villa cost approximately 5-7 €. 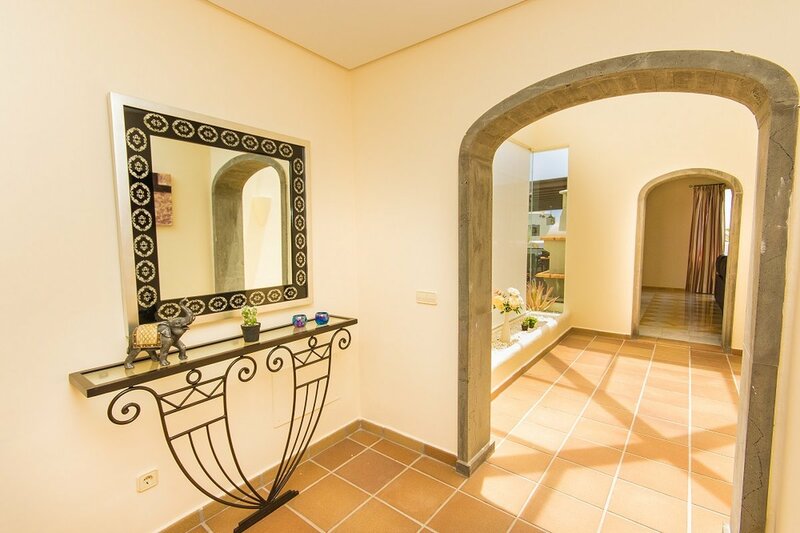 There is a bus stop 7 min walking from the villa. 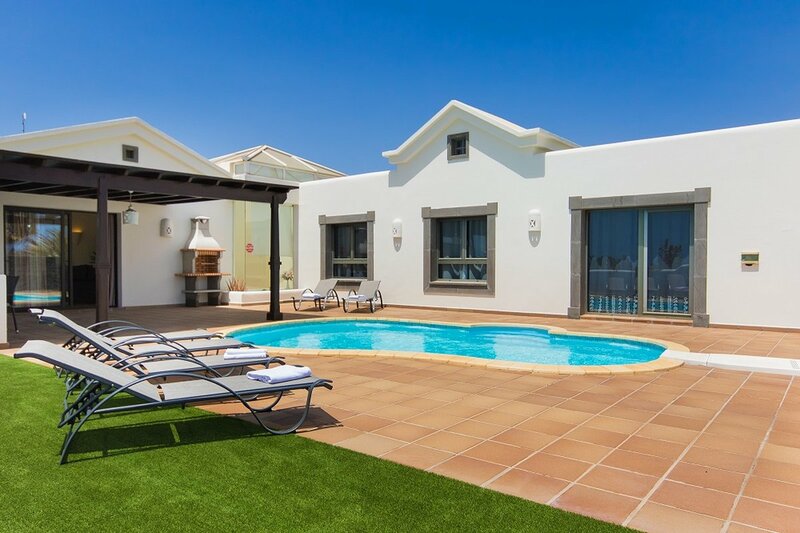 The airport is in Arrecife about 30 min drive, with taxi it cost approximately 45€. 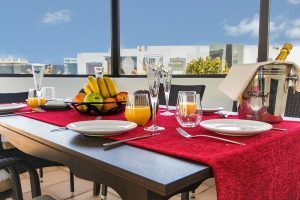 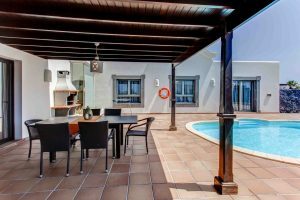 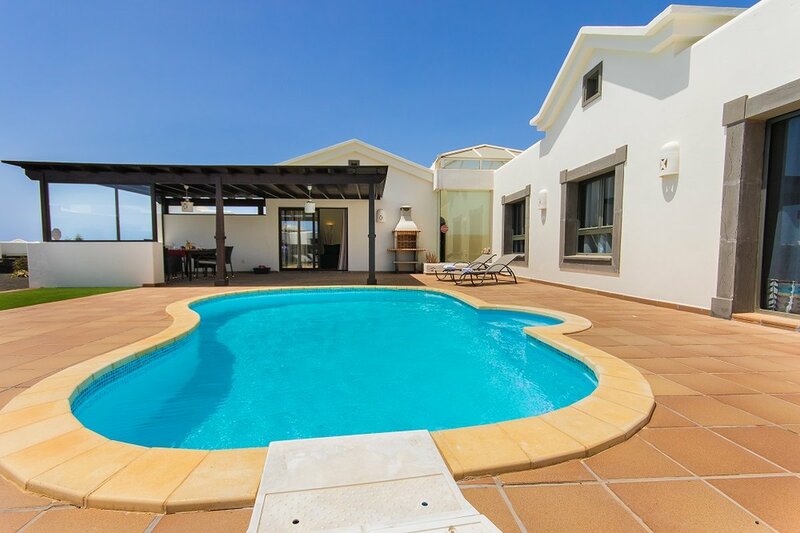 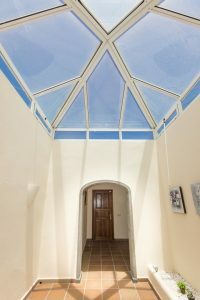 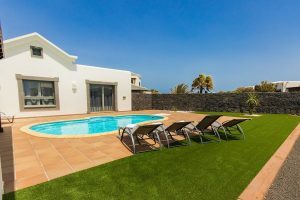 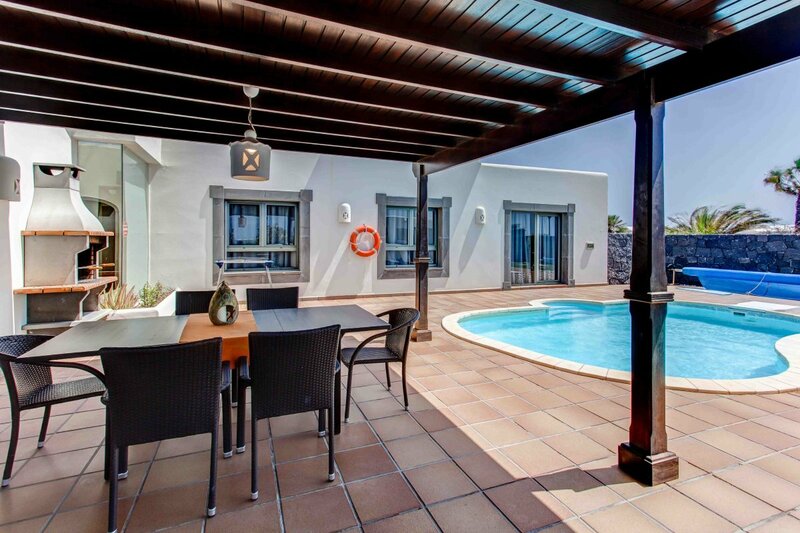 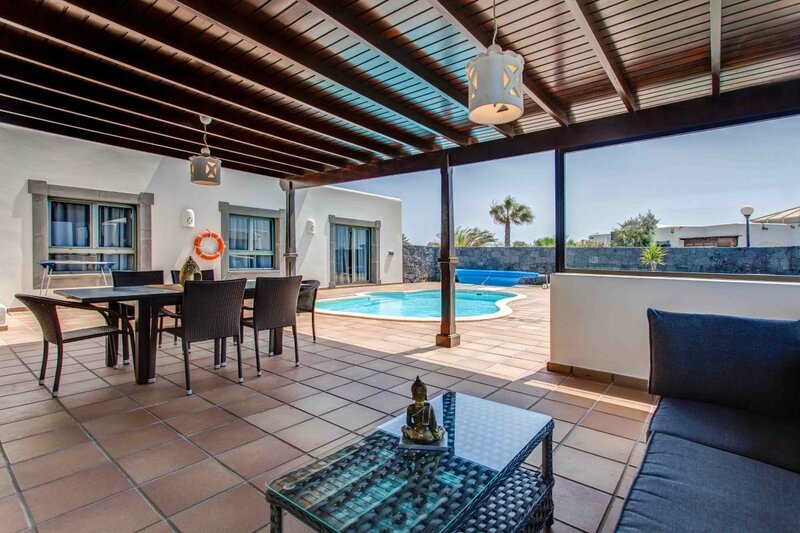 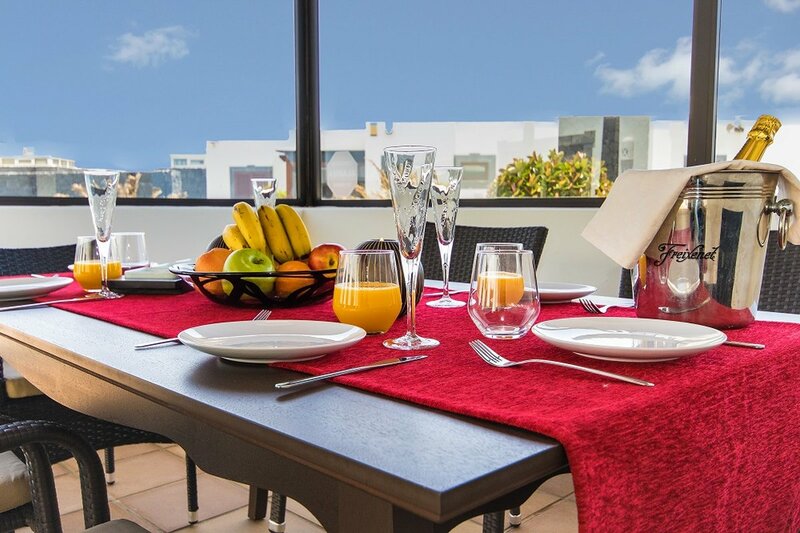 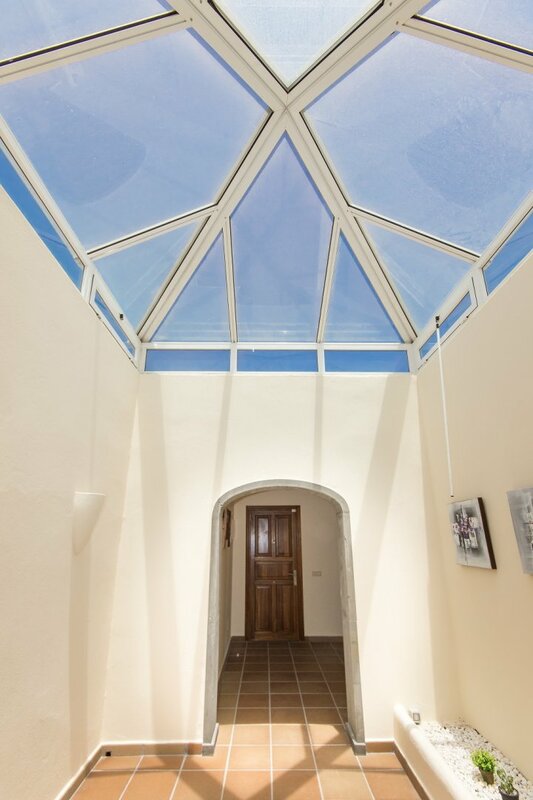 The villa is about 5 min drives to Playa Blanca center, 15 min to El Golfo, 20 min to Puerto Calero, 25 min to Puerto del Carmen, 30 min to Arrecife. 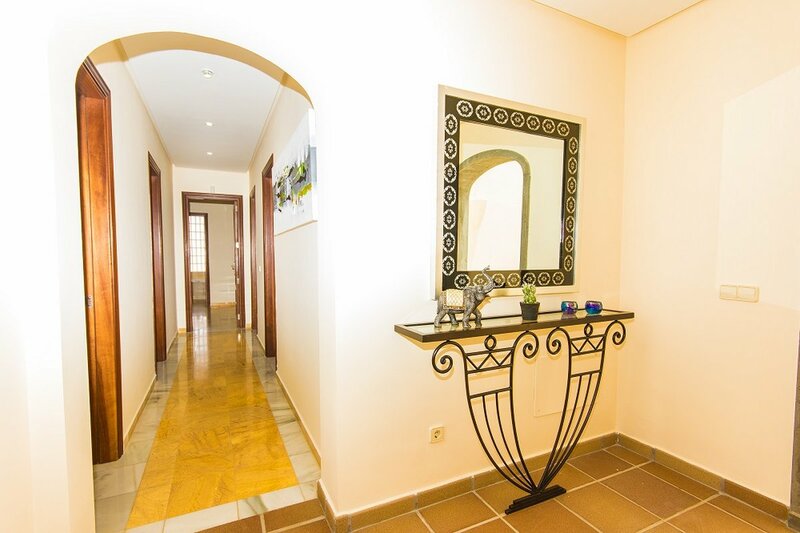 Within 5 min walk or 2 min drive, there are few bars, restaurants and 2 little supermarkets.